Stem cells are at the forefront of one of the most fascinating and revolutionary areas of medicine today. Doctors recognise that stem cells have the potential to help treat numerous diseases by generating healthy new cells and tissue. As a parent, you want to protect your family. 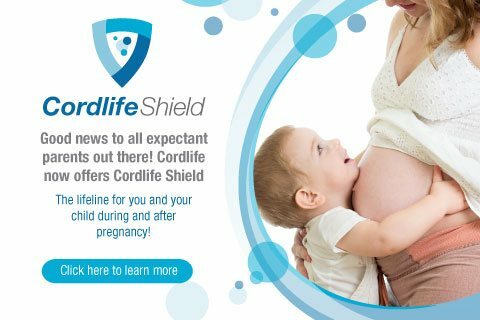 At your baby’s birth, you have the unique opportunity to safeguard the health of the ones you love by storing his/her precious umbilical cord stem cells. Umbilical cord blood is a rich source of Haematopoietic Stem Cells (HSCs), primarily responsible for replenishing blood and regenerating the immune system. It has the unique ability to differentiate into various cell types found in blood. Contains high numbers of Epithelial (EpSCs) and Mesenchymal (MSCs) Stem Cells which have shown immense potential in aiding the repair of injured tissues and organs. 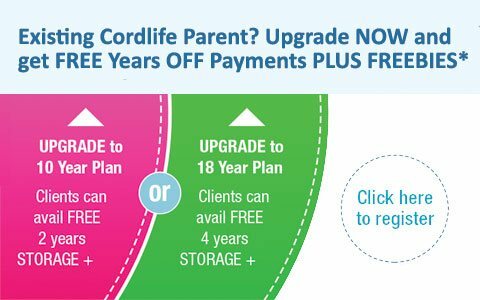 Cordlife Philippines was officially launched in February 2010 as Philippines’ first and only umbilical cord blood processing and cryopreservation facility to better serve the umbilical cord blood banking needs of the local market. It is a DOH-registered, ISO-certified, and AABB-accredited cord blood banking facility, making it the first and only in the Philippines to have acquired such prestigious status. We pride ourselves on these stringent standards and guarantee that your baby's umbilical cord blood unit will be screened, processed and stored according to the strictest international quality assurance programme. An accident at birth 2.5 years ago deprived Baby Georgia of oxygen to her brain, resulted in cerebral palsy. The damage to the toddler's brain caused her to move involuntarily, suffer from muscle spasms and have up to 50 seizures a day. As a mom, i know how important cord blood banking can be if it means saving the lives of my children from illness and diseases I hope and pray will never happen. Though the future is not in our hands, the best way to prepare for it is by doing something to help cure it, thank goodness for technology and science. That's why I highly recommend cord blood banking to dear friends as well. 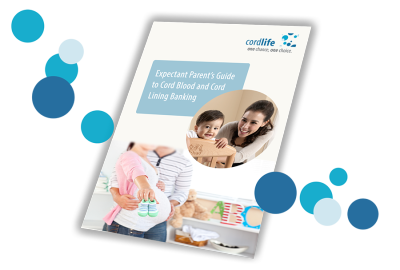 Find out more about the lifesaving benefits of cord blood banking with us today. Leukemia is one of the leading causes of death in the Philippines. 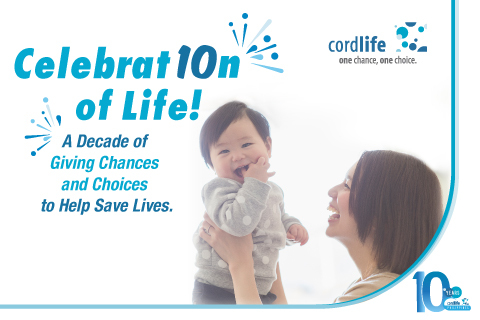 Join the fight against it and other blood-related diseases with Cordlife’s One Blood. 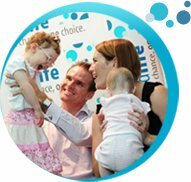 One Blood aims to create awareness on cord blood banking’s importance as an available standard treatment option for families who may need stem cell transplant. 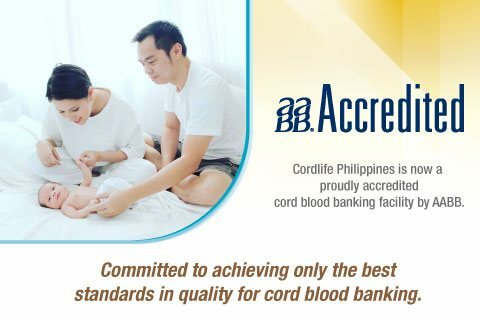 Cordlife is now one out of the six private cord blood banks worldwide that is double-accredited and the first in SEA to achieve the dual-accreditation status. 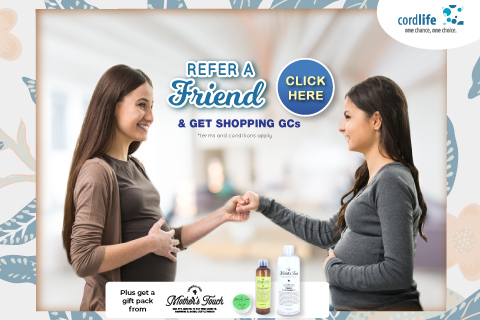 We are a consumer healthcare company that serves the needs of the mother and child. 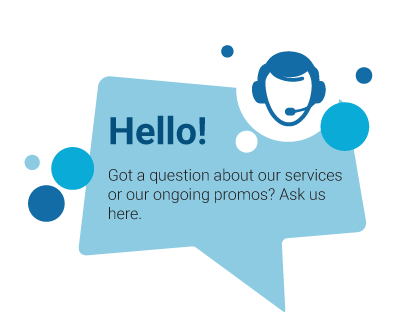 We deliver the highest of quality standards in service and product offerings. 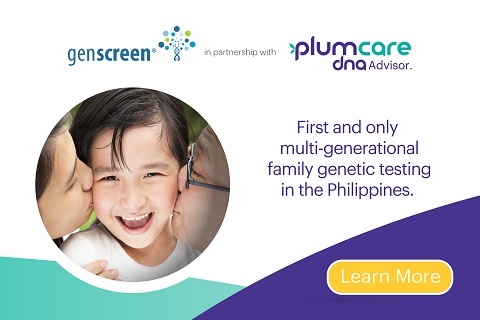 Prévue™ is a safe and highly accurate NIPT performed to screen for the most common chromosomal abnormalities such as Down syndrome. From a simple blood draw as early as 10 weeks into your pregnancy, NICE® screens for the most common chromosomal abnormalities that can affect your developing baby's future.